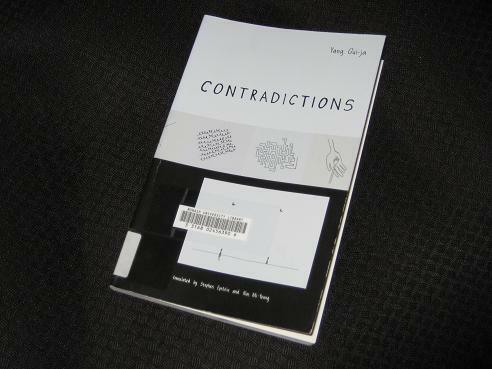 Yang Gui-ja’s Contradictions (translated by Stephen Epstein and Kim Mi-young) looks at a year in the life of 25-year-old An Jin-jin. Having reached this momentous age, she’s decided that it’s time to sort her life out and take her next steps. Apart from her work and family life, the main issue she needs to resolve is that of marriage as she (in her mind…) is fast becoming a little old for single life. Luckily, there’s a lot more to Yang’s novel than that, though. 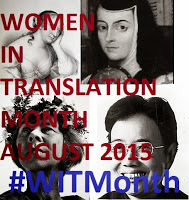 Contradictions is a fascinating read, fairly complex in its own way. It’s all about how life is messy, no matter how simple we want it to be, using Jin-jin’s story to show how what might appear to be a perfect (or imperfect) life can be anything but when seen up close. Yes, it can be melodramatic in parts, but it’s also a story most readers will be able to identify with. Cleverly, though, the contradictions are not absolute, apt for a culture where even the flag shows how contrasting elements contain small parts of the other. Gradually, the absolute distinctions break down; what initially seemed easy to divide into right and wrong, good and bad, comes to be more nuanced. Even if the characters appear binary, they are actually very real, each with their own distinguishing characteristics. While that might be true in Korea, she needn’t worry too much here – the majority of western readers will meet that criterion (except for those of you who read this, I suppose! ).